Researchers have identified a common mechanism implicating adenosine in the cause of restless leg syndrome (RLS) symptoms—the periodic limb movements characteristic of RLS and the state of enhanced arousal that both disrupt sleep. 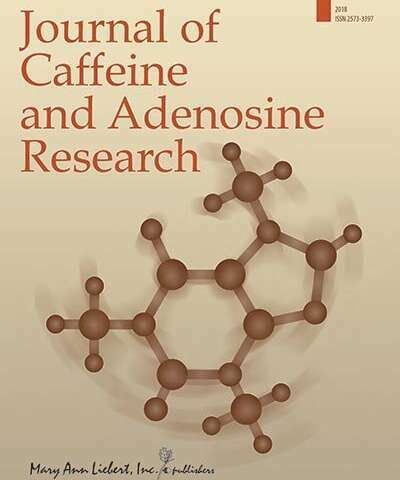 Preclinical findings in a rat model of RLS and clinical results in humans together suggest that targeting the pathogenetic downregulation of adenosine A1 receptor (A1R) may be a promising therapeutic strategy, according to an editorial published in Journal of Caffeine and Adenosine Research. RLS is a common disorder, with about 5% of individuals in the U.S. and Europe reporting symptoms, as described in the article "The Adenosine Hypothesis of Restless Legs Syndrome". More than one pathogenetic mechanism likely underlies the spinal cord-related and non-spinal cord-related aspects of the disorder, and researchers have long looked for a biochemical link that could serve as a new therapeutic target. A combination of preclinical and clinical findings has shown that brain iron deficiency (BID) is an early factor in the pathophysiology of RLS and that BID in rodents causes downregulation of A1Rs in the brain. "Based on these results," Editor-in-Chief of Journal of Caffeine and Adenosine Research, Sergi Ferré, MD, Ph.D., and his research colleagues in the Integrative Neurobiology Section, National Institute on Drug Abuse, National Institutes of Health (Baltimore, MD), "have hypothesized that a hypoadenosinergic state secondary to A1R downregulation could be mostly responsible for the hyperglutamatergic and hyperdopaminergic states of RLS that determine the sensorimotor symptoms of RLS as well as the hyperarousal component." They add, "We, therefore, predicted that inhibitors of equilibrative nucleoside transporters, by increasing the striatal extra-cellular levels of adenosine, could provide a new therapeutic approach for RLS." Why do we fall asleep when bored?